As you can see from the cute Google graphic above, the process is pretty simple but it is really designed much more for an online retail experience than a law firm. Note that this requires a)the user to fill out a form to store the original click information (known as the GCLID) and b)the advertiser to have a customer tracking database that they record the GCLID in and then reupload that GCLID back to Google once the user converts. Booo. This also requires a back end tracking database. While there are a few solutions (including, ahem, Avvo’s Ignite Suite) that do provide sophisticated CRM for lawyers, very few law firms have actually adopted them. One of my favorite pastimes is reading the Google tealeaves and prognosticating changes in direction and new product features. 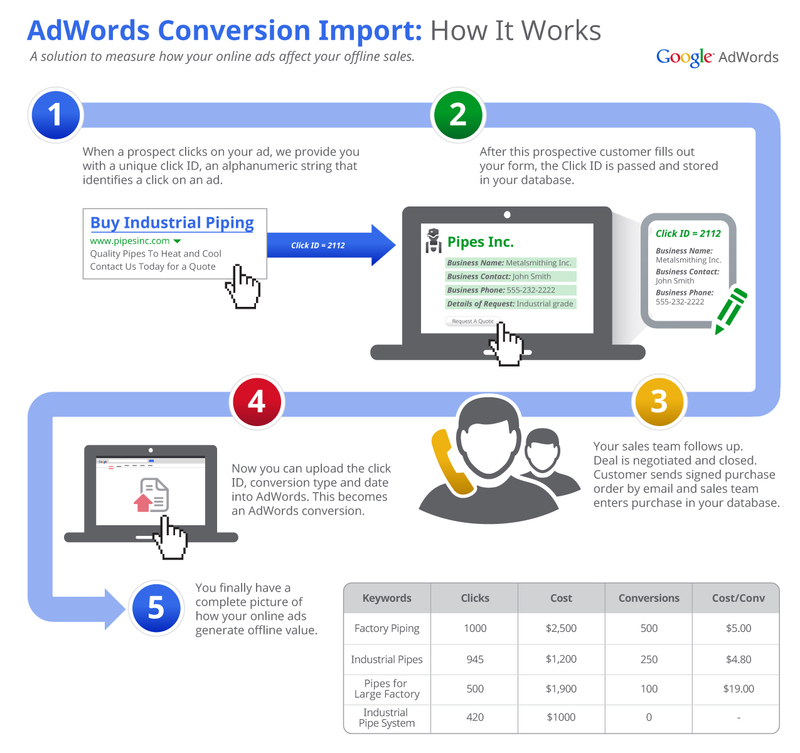 Between tracking phone numbers in Adwords and the huge push into the small business realm (think restaurants, plumbers, auto repair, lawyers etc.) things are changing. Better conversion tracking for small businesses that rely on phone calls for the vast majority of their conversions is coming soon.